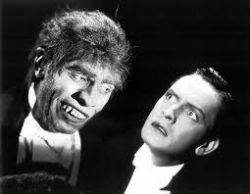 In my brief sojourn as an author, I feel I can break down my entire writing career into a Dr. Jekyll and Mr. Hyde type dichotomy. Creating and destroying. During creation, I run to my computer whenever I have a free second, knocking the children, chores and responsibilities out of my way. As I help my characters chart their course through the plot line, I’m continually amazed and surprised by the creative process. How can I as the author both know and not know what’s going to happen? The only thing I can compare it to is giving birth to a child. You know it’s going to happen around month nine, and yet you are still shocked when those first contractions start and, later, when you gaze into a new little person’s eyes with overwhelming adoration. That's how I feel about my manuscript. It's the most unique, beautiful, precious thing in the universe and I am supremely happy. When destroying (AKA editing, if I’m in a good mood) comes around, it's a very different story. Suddenly, I cannot believe how dirty the inside of my silverware drawer is. I must remedy this immediately. What if I quickly began a grassroots, city-wide movement to collect, distribute and compost unharvested fruit. Surely those rotting apples in my neighbors back yard could be put to better use? I sit down to the computer with a knot in my stomach. It’s time to tear down, to rewrite, “to kill my darlings” because I’ve come to realize they’re not as great as I thought they were. But instead, I’ll play on Facebook, Youtube, and Pinterest for awhile, because that’s almost the same as working. Creating and destroying. Why doesn’t the second one come more naturally? It’s what our muscles do to get stronger, what our brain does to re-purpose unused neural tissue and what our weather does everyday. Most human beings, however, do not enjoy the second quite so well as the first. Deep thoughts, but some of it sounded a little pretentious. I should probably … oh look! A Youtube video of funny cats. I'm sticking with cat videos! Actually no, I'm busy creating, redefining that creation and then redefining that success again. What is created cannot be destroyed. Yup, playing on words to keep it fun! You really crack me up, Kelly!! I needed that comic relief today!